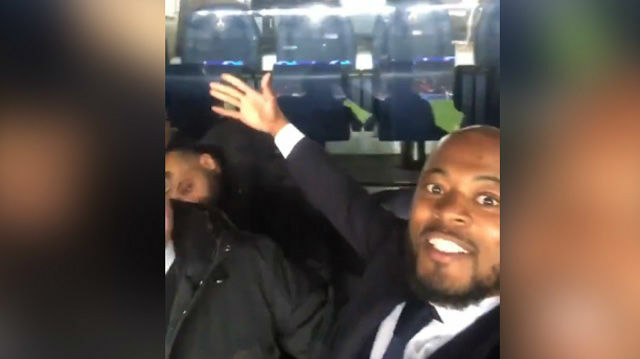 Paris Saint-Germain have hit out at comments made by Patrice Evra in a video on social media after Manchester United knocked the French side out of the Champions League. Evra made homophobic comments in the clip and PSG condemned them in an official statement on Tuesday -- ESPN FC reported they're even studying legal action. “Paris Saint-Germain condemns Patrice Evra’s homophobic insults aimed at the club, its representatives and its former players [referring to Jerome Rothen] in a video released yesterday on social media," the French club said. Evra's comments came after he celebrated former side United's progress in Europe -- Rothen, an ex-teammate at Monaco, accused him of a lack of respect. "Here it is Manchester," Evra replied. "Stop supporting teams who will never win. "Even my cousin who is in the front [of the car] is p----- off. Paris, you are some f----ts, some f----ts, I'm telling you. "We [United] put our D team [against PSG] and we did you. Some kids played -- they used to clean my boots. They don't even have sperm [yet]. Paris, you are some p---ies. [At Rothen] I will f---ing slap you in the face."